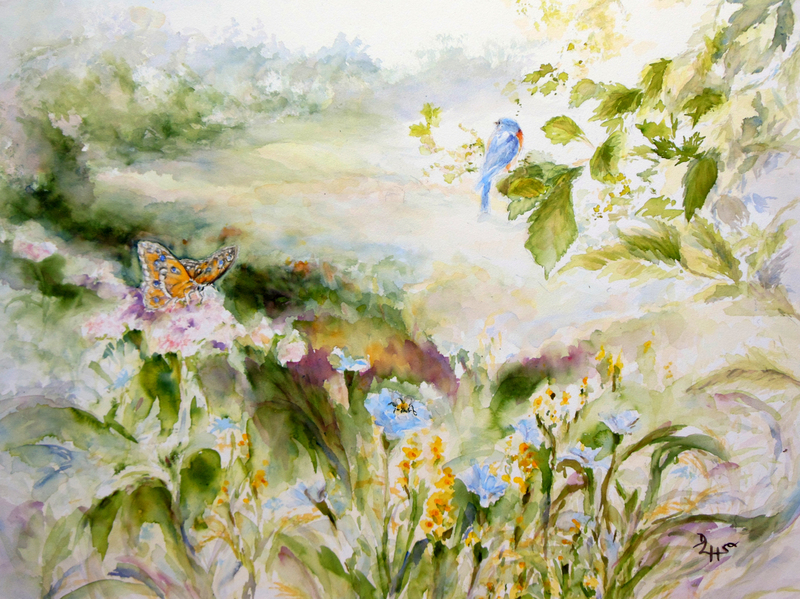 Exuberant wildflowers are joined by a Painted Lady butterfly, bumble bee and bluebird in this light filled watercolor. This piece was accepted into the 89 Annual Juried Art Show at Phillips' Mill in the portfolio category. 5" x 6.75"9" x 12"13" x 17.25"17" x 22.75"21" x 28"22.75" x 30.25"